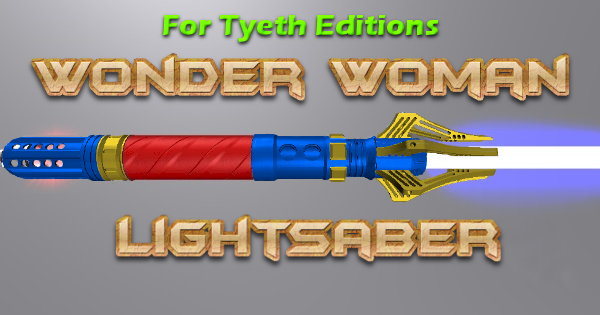 My post features Wonder Woman! The character was created by William Moulton Marston in 1941. Marston is also renowned for his psychological work and for creating the polygraph lie detector test. He wanted to create a new kind of superhero who didn’t use violence to solve problems, like the male superheroes who dominated the market at the time. He based his new character and her appearance after two women in his life: his wife, Elizabeth Holloway Marston, and their polyamorous life partner, Olive Byrne. Thus, Wonder Woman was born. Raised on a utopian island populated only by women, Wonder Woman was the miracle child of the Queen Hippolyta: sculpted from clay and blessed with life by the Greek pantheon. The overjoyed queen named the child Diana. She grew up worshipping the Greek gods and training in the art of war, but is also taught to only use violence as a last resort. Her world is turned upside down when a plane crashes on Paradise Island, and she rescues a man from the wreckage. The Amazons nurse him back to health, and learn that the man – Steve Trevor – is an intelligence agent for the United States of America, and that he needs to get home to report vital information to his superiors to turn the tide of World War II in the Allies’ favor. Queen Hippolyta holds a tournament to grant one Amazon the privilege of returning Steve to his homeland and to preach the Amazon ways to Man’s World. Diana triumphs in the tournament, garbs herself in the colors of Steve’s home country, and escorts him home to aid the fight against the Nazis. Wonder Woman broke the superhero glass ceiling, so perhaps is a role model by default, but she has many other qualities of one. Marston based her upon women of the ’40s, who were asserting their worth and independence during WWII and going to work to keep the country running while young men were away at war. In the early comics, Wonder Woman disguises herself as Diana Prince, and works as an army nurse while she’s not doing her superhero thing. Marston, also an outspoken feminist, designed the character also to be “psychological propoganda” for the newly liberated girls and young women of the ’40s, whom he believed could – and should! – use their feminine strengths to run the world (Wikipedia). In fact, the seventh issue of Wonder Woman, published in 1942, has the famous “Wonder Woman for President” story; even that early on in her history, Wonder Woman was doing what no one thought women could do! Wonder Woman was a hit when she was released, with both girls and boys. By a fan vote early in her publication, Wonder Woman was inducted as the first female member of the Justice Society of America (All Star Comics #12, 1942), as their secretary. Of course, they expanded her role as time went on, but she had to start somewhere, right? =P Though Marston passed away in 1947, he continued to write Wonder Woman until his death, and DC has published her stories continuously since then (save for a brief hiatus in the mid ’80s). She is a flagship character for the publisher, alongside Superman and Batman; together, they are known as the Trinity. Notable writers and artists who have worked on her title are George Perez, Greg Rucka (Down to Earth, The Hiketeia, and Rebirth), Gail Simone, John Byrne, and J. Michael Straczynski. Not only has her comic book been long-running, the character has appeared not only in other DC comics, but in multiple mass media. Perhaps the most recognizable incarnation of the character before the DCEU was the TV show, starring Lynda Carter, that premiered in 1975. Wonder Woman was also in the cartoons Super Friends, Justice League and Justice League Unlimited, and DC Superhero Girls, to name a few. I’d even say that after the unprecedented, genre-redefining success of 2017’s Wonder Woman, starring Gal Gadot, there is sort of a Wonder Woman Renaissance going on: not only this character, but other female superheroes are stepping into the spotlight and claiming their space. The indomitable Lynda Carter as Wonder Woman from the iconic ’70s TV show (Source). Wonder Woman was written to be a different kind of superhero, as mentioned above: one who used love, compassion, and understanding to resolve conflicts instead of violence. The nuances depend on the individual story, but overall, the Amazon code preaches peace through submission to a loving authority; love, acceptance, and compassion to all; and diplomacy always before violence. Wonder Woman, therefore, is first and foremost an ambassador; spreading the Amazon ways to Man’s World. Greg Rucka’s run beginning with Down to Earth (linked above) in particular highlighted Diana’s ambassador role: in his story, Themyscira is recognized as a nation by the UN, and Diana becomes their official ambassador. She publishes a book during this time too, over which public opinion is polarized. There is a passage in which she’s on a talk show, and though the host and other guest try to heckle her, Diana responds calmly and patiently. Not everyone is receptive to her message, but that doesn’t mean she won’t try to get through to everybody. There is an interesting dichotomy explored in many of her stories about Diana’s role of princess and ambassador versus her role as a warrior. The Amazons are a race of warrior women, and yet, they do not seek war. In George Perez’s run (linked above), the mighty Hercules travels to the Amazon’s home to conquer it. Queen Hippolyte meets him on the battlefield, garbed in armor, but speaks to him first. She gives him a chance to surrender before actually crossing swords, after she realizes there is no other choice. Diana is very much the same way. Later in Perez’s run, after she discovers Valerie Beaudry, the Silver Swan, is only the villain because her husband brainwashed her into doing it, seeks her out and tries to reason with her. It’s unlikely Wonder Woman ever strikes first – and if she does, it is only to protect innocent lives. Wonder Woman can be threatening, but she chooses not to be until there is no other alternative (Source). “When you need to stop an asteroid, you get Superman. When you need to solve a mystery, you call Batman. But when you need to end a war, you get Wonder Woman” (AZ Quotes). This quote speaks volumes about the character. Wonder Woman is arguably the best of the DC trinity at shutting down conflict, because she doesn’t use physical force to do so. She tries to negotiate first. She tries to see the other side of the story and offers compassion and understanding. She offers help, if help is needed, and asks for peace. Only when all other methods have failed does she resort to violence. At this point, after she’s exhausted all alternatives, she doesn’t hesitate to do whatever needs to be done – including taking a life, should the situation call for it (it only has once in her entire career!). This controversial page, from Wonder Woman #219, is just before Wonder Woman kills Maxwell Lord to free Superman from his mind control. This was shocking to fans, but made sense for her character. She asks four times how to free Superman from Lord’s control, and only kills him after it’s clear there is no other alternative. Neither Batman nor Superman would have killed, it’s true, but Wonder Woman is versed enough in the ways of war to know that the cost of one life is worth the continuation of many (Source). The reason I personally love Wonder Woman so much is because of her unbreakable commitment to compassion, love, and trust. She sees the good in people, even villains, and gives everyone the benefit of the doubt. She accepts everyone as they are, but knows when someone needs help, and is the first to offer it. She loves and trusts everyone she meets, unless they give her a reason not to. She opened herself to new experiences, to a whole new world, simply because she wanted to learn about it. These are incredibly powerful messages, not only to women, but to everyone. I am not naturally this way – I am inclined to distrust and see the bad in people first – but I strive to emulate Wonder Woman, and do the same she does. I try to be compassionate and open to new experiences and ways of thinking, as she is. In this divided world, we can all stand to exercise a little more understanding and compassion in our every day lives. Wonder Woman is one of, if not the most, important fictional female characters in history. She was the first superhero in an industry dominated by male characters. She showed us, has continued to show us, that not all conflicts have to be resolved using violence. Diana Prince might have super strength and the ability to fly, but I think that her greatest power is her heart, and its’ boundless capacity for love and empathy. We might not be able to attain her superpowers – but we can strive to fill our own hearts with her ideals, to fill the world with a little more love. Next up will be Rob of My Side of the Laundry Room, Kiri of Star Wars Anonymous, Jeffrey of The Imperial Talker and last, but certainly not least, will be Kalie of Just Dread-full. We absolutely can’t wait to share the rest of this series with you guys! Please keep checking back in the next few weeks to see more of fiction’s fearless females, and follow the hashtag on Twitter! BRAVO!!! Oh my gosh, Kathleen, I love this!!!! This might be my all-time favorite post of yours. I feel like I learned so much and I’m even more excited to read more Wonder Woman comics now. I loved Patty Jenkins’ film (of course, because who couldn’t??) and I started regularly reading ‘Wonder Woman’ last fall when G. Willow Wilson took over writing the title. I’ve tentatively begun wading into some of her more iconic past stories now as well. But this…WOW. You took my Wonder Woman excitement to a whole new level! And you captured Diana perfectly :). “We might not be able to attain her superpowers – but we can strive to fill our own hearts with her ideals, to fill the world with a little more love.” – AMEN! Fantastic ode to Wonder Woman! You hit this post out of the park! And I love the quote you used from Gail Simone, and the example you used from WW #219, because it reinforces what I thought of her perfect depiction in Kingdom Come. I agree, Kingdom Come was another definitive depiction for her. That’s another one where, after a certain point, she won’t hesitate to do what needs to be done. Bravo Wonder Woman. I only read a handful of her comics as a child but made sure I caught as many episodes as I could of the TV series and cartoons. I enjoyed her recent film outings, and easily rate her as a positive and shining inspiration on many levels – as you hit upon so well in your post. I hope you read more of her stories! Thank you for reblogging, and for your kind words! Reblogged this on The Vintage Toy Advertiser. Thanks for a great read and for bringing back some memories of my Saturday afternoon TV viewing of Lynda Carter when I was a youngling (kid)! Excellent post! I am currently re-reading Greg Ruka’s Wonder Woman at the moment. It is so good! Thank you! Rucka was born to write WW, I swear! Loved it. Yes, WW really does embody a hero through and through. We all have our roles to play as part of a bigger hero team.